- Wolfson professional high-end WM8804/WM8741 stereo chipset. - Supports 32 kHz, 44.1 kHz, 48 kHz, 88.2kHz, 96 kHz and 192 kHz sampling frequencies. - 140 ps wideband jitter (100 Hz corner). - 16 - 24 bit. - Input selection switches for up to 8 inputs: 3 x digital coax inputs (floating transformer coupled - accepts balanced or unbalanced) 192 kHz max; 3 x digital optical inputs (Toslink) 96 kHz max; 1 x USB input 48 kHz max; 1 x stereo analogue input! - Balanced and unbalanced (single ended) outputs: 1 x stereo analogue unbalanced output (fixed, variable option to special order); 1 x stereo analogue balanced output (variable). - True analogue manual output-level potentiometer - gain matched to +/- 0.5dB. - Low distortion - low noise - low negative feedback 'ultra-linear' gain stages. 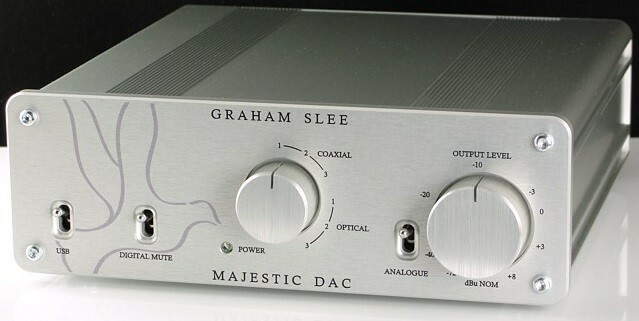 The Graham Slee Majestic DAC is venerable hi-fi manufacturer Graham Slee's first mainstream DAC, and is also a preamp for the digital age, featuring seven digital inputs and one analogue input. A 24bit/192khZ DAC ensures that the Majestic DAC uses cutting edge DAC technology and can be used with all the latest high resolution downloads and music files. 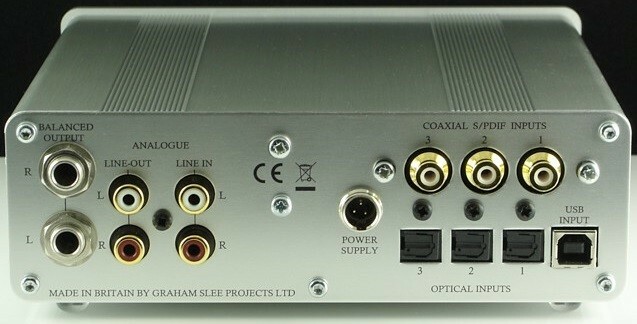 Graham Slee believe that the only truly high resolution analogue source most people have is vinyl, so the Majestic DAC's analogue input has been tuned to be suitable for the output of a phono stage. Drawing on their decades of experience in producing stellar phono stages, the Majestic DAC is an ideal focus for a modern hi-fi, and has the versatility to be used with all your equipment. 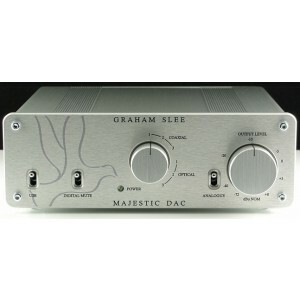 The Majestic stereo DAC uses a fixed low-level RCA stero output and a level-controlled TRS jack stereo-balanced output. An option for the RCA jack single-ended outputs to be via the level control rather than fixed, is available at time of order at no additional cost (please contact us to specify this when you order).